See individual object records for dimensions. 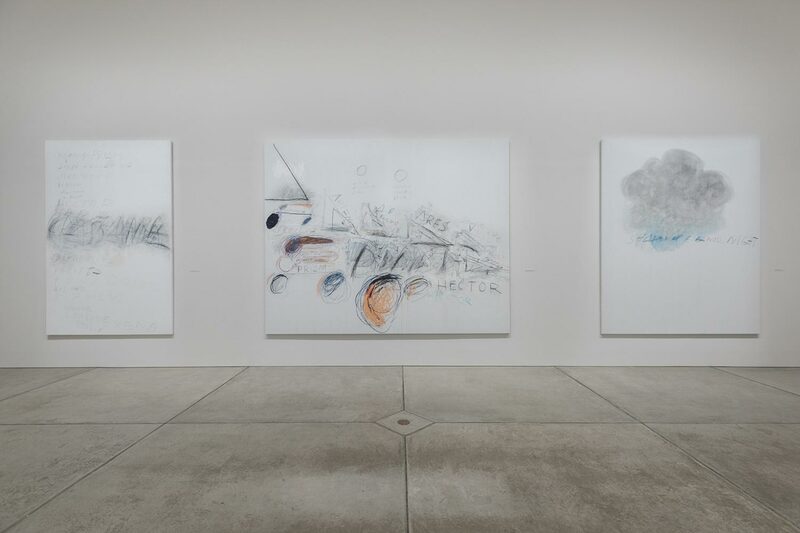 In the summer of 1977, Cy Twombly began working on a "painting in ten parts" based on Alexander Pope's translation of Homer's Iliad. 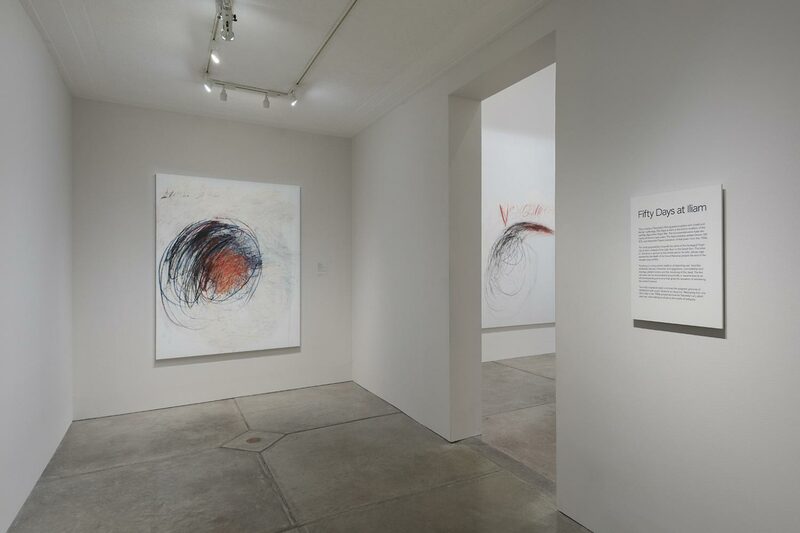 Completed in 1978 and collectively titled Fifty Days at Iliam, the works evoke incidents from Homer's epic poem in Twombly's characteristic synthesis of words and images. The ten large canvases follow one another much like a developing narrative. They are ordered as follows: Shield of Achilles (on view in Gallery 184); Heroes of the Achaeans; Vengeance of Achilles; Achaeans in Battle; The Fire that Consumes All Before It; Shades of Achilles, Patroclus, and Hector; House of Priam; Ilians in Battle; Shades of Eternal Night; Heroes of the Ilians (on view in Gallery 185). Cy Twombly's Fifty Days at Iliam is a rare type of work for a twentieth-century artist--a painting that illustrates a narrative. 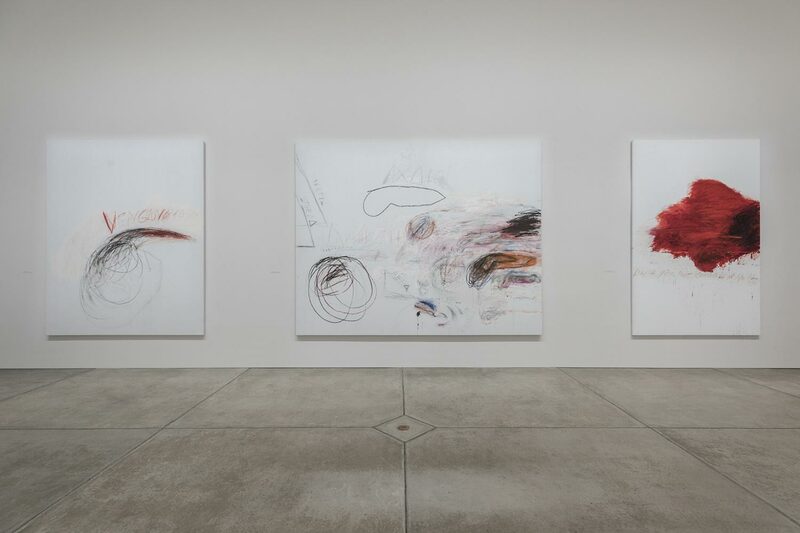 Long inspired by classical antiquity, Twombly here pays homage to what is perhaps the definitive narrative of Western literature: Homer's Iliad, the tragic story of the final fifty days of the Trojan War, probably written before 700 B.C. 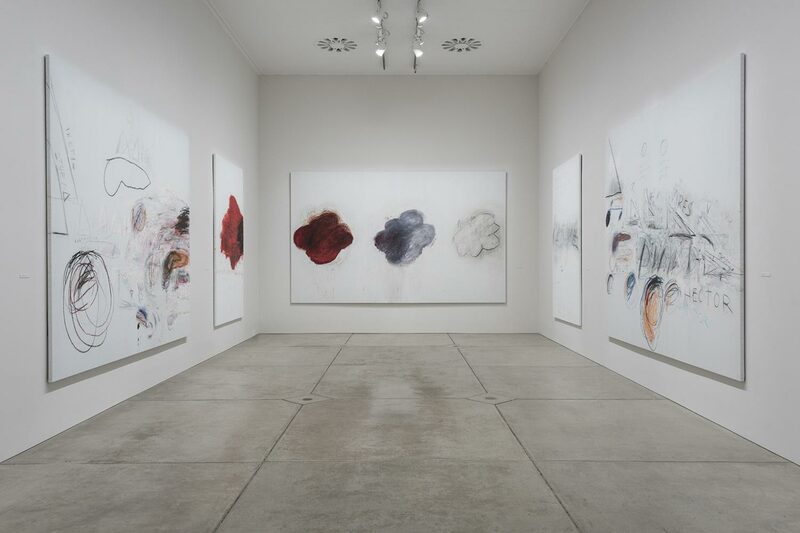 Twombly's series in ten parts progresses from the fiery moment when the Greek warrior Achilles is inspired to join the fight against Troy (Iliam) to an almost blank canvas filled with the silence of death. The installation develops in both diachronic and synchronic fashion: the story unfolds chronologically, while simultaneously one wall presents a predominantly Greek mood, passionate and explosive, as the facing wall depicts an essentially Trojan attitude, more contemplative and cool. 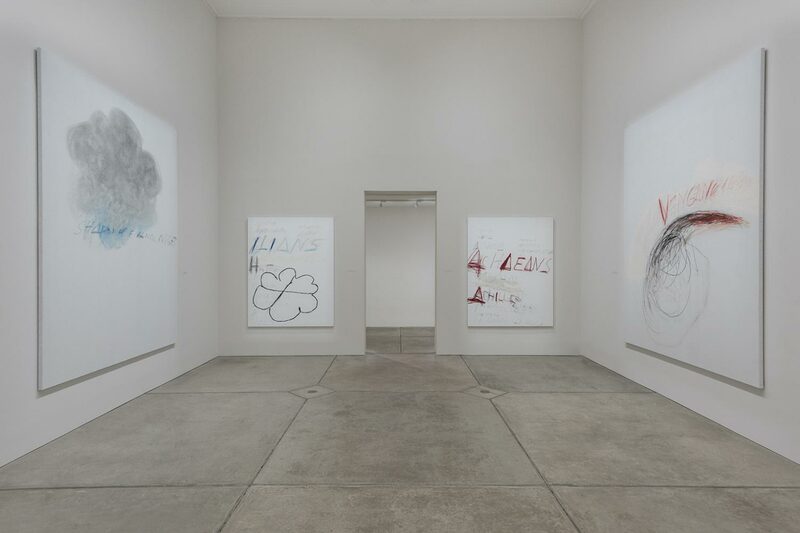 Twombly uses the visual language he had derived over twenty years earlier, full of scrawling marks, seemingly random brushstrokes, and legible numbers and letters, to create his own tribute to an anchor of Western culture. Ann Temkin, from Philadelphia Museum of Art: Handbook of the Collections (1995), p. 340.